Hellblade: Senua's Sacrifice is ranked in the 92nd percentile of games scored on OpenCritic. Few mainstream video games have tried, let alone achieved, anything close to the emotional intensity that courses through this game. Hellblade is brave for tackling psychosis so directly, and braver still for pouring so much of its efforts into its narrative. It's unlike anything else I've played this year, and for that reason it deserves a slice of your time. Hellblade is an ambitious title from Ninja Theory that explores mental health in a way never before seen in video games. It should be experienced. Senua is a remarkable character who instills all of her energies into the player in such a way that will never be forgotten. Truthfully an amazing experience and this will be the second game for me, which if I can get amnesia and forget all about the playthrough, just to feel it again, I’d totally go for that. I can, without a doubt, recommend Hellblade to everyone. It’s definitely one of those rare gems out there on the market that I am absolutely happy to have. Despite a bug that forced my first playthrough to end prematurely, Hellblade: Senua's Sacrifice is an incredible game that will continue to linger with me as a singular and emotionally affecting experience. For its audio and visual design alone, it is stunning, but for its ability to use the video game medium to bridge our understanding of mental illness while also telling a personal and powerful story, it is a masterpiece. If you feel capable of withstanding the emotional strain it requires, a dark and fulfilling tale awaits. It’s an easy favorite for my GOTY, and the best game I’ve played this current generation. I implore you to follow Senua on her journey, fight with her, struggle with her, cry with her, triumph with her. It’s an experience that would be impossible in any other medium but gaming, and it left me reeling. I have a great deal of difficulty putting in words just how much I love Hellblade. It's just that powerful. Hellblade is a brilliant game. At first psychological issues that the heroine has can be annoying, but after some time you notice how well they are implemented. Animation is spot on. Fight is challenging at times. The story is immersive. This is a game everyone should play and listen to all the Norse stories brought to you by rune-touching. An achievement in horror storytelling. 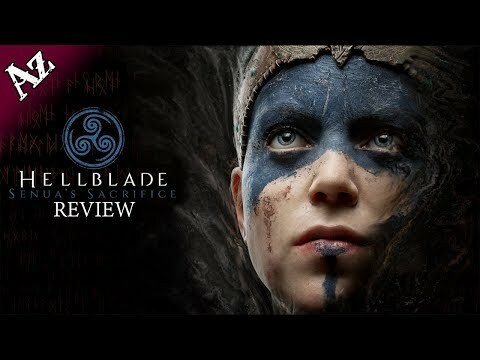 It is easy to see why Hellblade received universal acclaim when it released on PlayStation and PC back in August 2017 and also why it swept 5 Baftas at the recent 2018 awards. It is a triumph of mature story telling, incredible audio design and meaty, visceral combat. What is even more impressive is that this game was created by a mere team of 20, released at a low price point and has production values that easily rival most AAA games on the market. A definitive must have for Action-Adventure Fans. The Conclusion Hellblade: Senua's Sacrifice is an intense emotional experience that aims to push the boundaries of visuals and in-game performance. You may not want to play through again (I still might at some point though) since there isn't much after you beat it, but it's worth it to at least go through Senua's journey once. Blending powerful imagery, unrivaled visuals quality, an excellent combat system and a unique setting blending Norse mythology with mental illness, Ninja Theory fully delivers on their independent AAA pitch with Hellblade: Senua's Sacrifice. This is one of those titles that, albeit not flawless, should be experienced by every gamer at some point. Hellblade: Senua's Sacrifice is a unique game that intriguingly captures mental illness and offers a punishing-yet-fluid set of mechanics, all wrapped inside a compelling journey through a vibrant world. I felt like I was with Senua every step of the way, and couldn't wait to see what was around the next corner. Starring an amazingly strong story, graphics, and art design, Hellblade shouldn't be missed. However, the gameplay will drag this game away from perfection, but not far enough to be ignored. 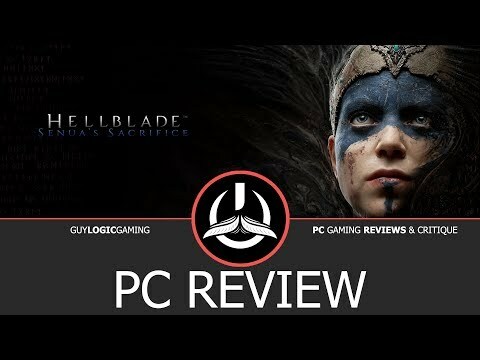 Hellblade: Senua's Sacrifice is an interesting action game that, aside from an enjoyable gameplay and great combat mechanics, offers an interesting premise that could easily delude your perceptions. Easily put, it is a game that defy any expectation that gamers can have of it. Hellblade: Senua’s Sacrifice delivers a genuinely gripping and haunting adventure that’ll keep you hooked in thanks to its engaging narrative, stunning visuals, and clever puzzle-solving. It manages to offer an experience that’s both thoughtful and action-packed, which ensures that it stands out as a remarkable and unforgettable release. The only downside came with the combat, which could feel a little underwhelming and repetitive as you progress through the game. Still, it was never outright bad and some of the boss encounters could be impressive, so it’s never a struggle to play through each battle as you work towards the game’s finale. Hellblade: Senua’s Sacrifice is just a fantastic game and one that proves that Ninja Theory truly are masters of their craft. It’s great to see that it’s finally available on the Xbox One too, so now there’s no excuse for gamers to miss out on what is truly noteworthy game. Hellblade is one of my favorite titles this year. Its incredible use of sound and visual manipulation to completely immerse you in its experience is a credit to Ninja Theory. Hellblade: Senua's Sacrifice is a prime example that you don't need a massive budget to create something extraordinary. Hellblade: Senua's Sacrifice can drive you mad. These voices in your head — you can't stop them, they're everywhere, always talking, always alongside you. Ninja Theory did an astonishing job representing psychosis in a game and bringing sound design to new heights. Marrying combat, narrative, and strong characters, Hellblade: Senua's Sacrifice is greater than the sum of its parts, making it well worth its asking price. It might not be the sequel to DmC: Devil May Cry, but it's a tense, dramatic experience that's worth the price of entry. Hellblade Senua's Sacrifice is an incredible audiovisual experience, regardless of the platform you are playing it on. While in handheld mode the level of immersion might be somewhat reduced, the audio is where it really counts and that aspect is every bit as good on the Switch as on the more powerful consoles. If you have yet to play this game, listen to the voices in your head and pick this up, you won't be disappointed! Hellblade triumphs equally as action game, mythic quest and psychological character study, bringing together some amazing visuals, great performances and ingenious design. It's short-lived but perfectly paced with a blend of action and puzzles that grows in richness and complexity as the game goes on. While some might prefer Enslaved or the DMC reboot, I'd call it Ninja Theory's best work yet. It's a unique title which succeeds in its mission of giving gamers a glimpse into how people deal with psychosis and loss. Hellblade: Senua's Sacrifice‘s strongest sequences mirror specific physical symptoms or psychological fears. Hellblade: Senua's Sacrifice is a complete experience for a bargain price. Struggling through life as a psychosis sufferer is an alarming experience, and Hellblade provides an illuminating glimpse into the lives of those afflicted by such terror. Combat is visceral, yet on the game's easiest mode should prove no problem for those interested in experiencing the story. At an asking price of $29.99 USD, the campaign is just long enough to feel like this is money well-spent. Hellblade: Senua's Sacrifice is a stellar entry from Ninja Theory, and I can only hope this is the first of many “independent AAA” games to come from the veteran studio. Hellblade: Senua's Sacrifice manages to tell a thoughtful story about mental illnesses while also providing exciting gameplay and some absolutely fantastic visuals and audio. For anyone looking for a tight, well-paced, linear action game, this is it. Hellblade Senua's Sacrifice is a hauntingly beautiful journey through the madness of a warrior's suffering to find her true love. The story is art, the graphics are engrossing and it's truly everything it was advertised to be. Ninja Theory provided a gaming experience that is a rarity these days in the gaming world and it is not to be missed. Hellblade is an amazing achievement in game design. It is something I think everyone should play. A title that asks its player to step into the role of a woman suffering from an extreme mental illness. In doing so, it offers a glimpse into a world unknown- one of suffocating dread but also, one of breathtaking beauty. I've been playing video games for years now and until now I hadn't experienced an adventure like the Hellblade: Senua's Sacrifice. From the moment I saw the trailers of Hellblade and read about it, i liked the game and I was waiting to try it out but I couldn't even imagine falling in love so deep with this game. You can see that ninja theory has done all he can to make Hellblade: Senua's Sacrifice. You can feel the effort they've made for making a masterpiece like Hellblade. And it's not just this game; Although they're not one of those big fancy studios they have always made great games because they make them with their hearts and Hellblade is their ace. This game shows that you don't need a lot of money to make great games. Hellblade: Senua's Sacrifice is a must-have! This game won't be like any other games you have played. The price is only 30 dollars but the experience is much better than most of those games you bought for 60. Hellblade: Senua's Sacrifice is stunning, combining a tense and gripping story with perhaps the best representation of mental health in gaming. Hellblade: Senua's Sacrifice is an absolutely pleasant surprise. There may be only one kind of puzzle to tackle, but it never seems to get old, especially when the stages keep it fresh. The combat may not be as flashy as the developer's previous titles, but there's more than enough strategy to keep the combat challenging. What will keep this title in people's minds is the story's focus on mental illness that is respectable without making it a mere gimmick. Coupled with a truly stunning presentation, Hellblade is certainly a title worth playing. Mental illness is a seldom discussed and often misunderstood topic. While Hellblade is far from a direct and immediate exploration of psychosis and how it affects people, it uses a powerful narrative mixed with symbolic gameplay elements to weave a tale of horrific trauma and unsettling experiences. Hellblade is easily one of 2017's very best games, and the best game I've played all year that isn't Zelda. Hellblade offers an engrossing single-player cinematic experience coupled with Ninja's Theory's tight melee combat systems and responsive controls. An enthralling sensory onslaught for the eyes and ears. 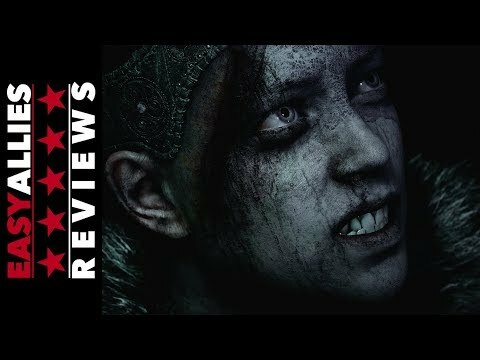 Senua’s adventure in the underworld and her dealing with her unusual illness, splendid characterization of the heroine which makes its player’s feelings grow stronger, and perfect sound designing alongside awesome visuals; combining all these features together results in a masterpiece named Hellblade. A game that in spite of its valuable elements, due to being a digital only with short story and nearly high price, it is rarely found in Iranian users’ shopping carts. Hellblade: Senua's Sacrifice is easily one of the best games in the recent years in terms of creating deceptive spaces and offering new experiences. Ninja Theory has proved once again that with enough time and budget, even ideas that aren't even originally from the developers themselves, can become games beyond our expectations. Ninja Theory has delivered a game that is equally good and important for the industry in terms of serious storytelling and the ability to create AAA experiences at a low cost. Hellblade: Senua's Sacrifice is a real gem and an example of how independent games should be created. Beautiful graphics, intriguing atmosphere and convincing main character. Mandatory position. Hellblade could have been carried alone by its insanely beautiful graphics and standout voice performances — some of the best of 2017 — but while these scenarios were always refreshing interruptions from long, meditative walks through Helheim, they distracted from the game's greater focus on demystifying a taboo mental disorder. At its heart, when you strip everything away, Hellblade is a frank and unrelenting warning about helping others, to not let them drift further and further towards darkness. For that reason alone, Hellblade may just be the year's most vital game. Hellblade is a tricky bag of thoughts and impressions. In today's environment, mental health to many is a field of landmines, having scarcely been touched in the video game industry. There have been a few landmark titles, but Hellblade really raises the bar… or should I say down since our main Celtic heroine, Senua, needs to trek the decrepit waters of the Northmen to make her perilous passage into Helheim, the Norse equivalent of the underworld. Hellblade: Senua's Sacrifice is the action adventure genre stripped of its excess, until a smaller, more personal journey remains. While it may feel shallow and lacking for some, those wanting something other than the usual big-budget 70-hour fare will find Senua's story to be unlike anything else in recent years. Hellblade: Senua's Sacrifice is an unmissable experience with its simple but impressive story and unique storytelling. Hellblade: Senua's Sacrifice is a deep, fascinating game, however, which precedes the narrative component to the gameplay: the important thing is to know what you are buying. Hellblade: Senua’s Sacrifice is a beautiful and unusual game for a very select audience. If you want to rest from various open worlds and focus on a very personal and linear story with tons of cool little details, this is something for you. I don’t think there ever was a game that displayed the madness of a troubled mind in such a way. Hellblade is a great single-player adventure! Not without flaws, but full of interesting ideas - including a multi-layered sympathetic and credible title heroine. Dense, immersive and beautiful, Hellblade: Senua's Sacrifice is a genuine surprise. With a unique atmosphere, outstanding sound design and solid controls, it could have been masterful had it not been for the creeping shadow of repetitiveness, an exhausting dose of backtracking and some frustration to stop it, especially towards the end. Having said that, this is a truly remarkable and affordable experience. Hellblade: Senua's Sacrifice has shown that video games are mature enough as a medium to capably deliver an entertaining experience while respectfully tackling difficult topics. It's beautiful and emotionally engaging, worth every moment spent in the warrior's mind. Hellblade is one of the best interactive experiences of this generation and a true technical show. However, the gameplay of the game is not equally calibrated and often loses pace in some areas. Hellblade is great if you are looking for a cinematic experience with superb graphics and puzzles, or if you just want a quick platinum trophy. It’s not for you if you want an action fighting game. Hellblade: Senua's Sacrifice has an interesting plot, a good fighting mechanic and excellent graphics. The quality of the audio is out of this world. The problem is the combat variety (in the end, you'll be bored) and due to the focus on the narrative, many people may find the game monotonous. However, those who give a chance will find a good story. A unique experience in the way it presents its world and story. The gameplay itself might be simple, but it succeeds in making you empathize with the game's heroine. Hellblade is not fun in the way that a triple-A game is expected to be—even when it dives into pure horror—but it is a game that brave players will relish the opportunity to experience, even in its slower moments. If you are looking for a new experience and you are interested in psychology, don't miss Hellblade. Amazing atmosphere, breathtaking combats and challenges, stunning visuals, and marvelous sound and music will entertain you for around 8 hours. It could be a whisper or a shout but Hellblade: Senua's Sacrifice will stay with you. Deftly crafted with stunning detail and an expert depiction of psychosis, it's a journey that's as torturous as it is heart-breaking. Hellblade's mundane mechanics help underscore a powerful story of overcoming your demons, if you're willing to subject yourself to the honest portrayal of mental illness it presents. Hellblade: Senua's Sacrifice is a prime example for anyone making the case that video games are a powerful art form. Creatively ambitious, it's exceptionally well-thought-out and implemented – making it striking at both a sensorial and psychological level as it delves deep into an exploration of life with psychosis. It has its gameplay flaws but remains must-experience for adult audiences. An instant classic for this generation. as an distinguished and sumptuous game, HellBlade Senua's Sacrifice reaches it's goal without hesitating. the mixture of norse mythology with senua's unique story and psychological elements, is one you've never seen, like ever. A dark and unusual story that is enriched by one of the impressive and unconventional hero’s you will ever see. While some tedious puzzles hamper the experience, there is enough strength in the story to make it worthwhile. Senua’s willpower and strength will be something you admire from start to finish. The combat is limited but fluid. The hard hitting attacks make the occational battle something to look forward to. Hellblade is an unusual game that will have a strong emotional impact on you. They may not necessarily be emotions you want to invoke, but it seems as though this is what the game sets out to achieve. This is a game you are unlikely to forget. Ninja Theory ought to be praised for what it's achieved – an adult story that's told like no other, combat that's skilful and harrowing, unique environmental based puzzles and light, scenic adventuring. Hellblade: Senua's Sacrifice is not going to appeal to all tastes, and nor does it try to. 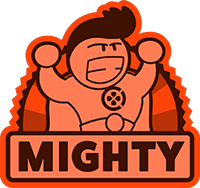 As a character action game, it has decent if underdeveloped combat and a mixture of some excellent and some overplayed puzzles. But it's the way that the title utilises the unique attributes of the medium to raise awareness of mental health that elevate this release beyond the sum of its parts. Hellblade: Senua’s Sacrifice is a true mixed bag. It’s easily one of the most visually stunning games you can play and the sound design is exquisite. On the other hand there it’s no doubt fairly simple and at times boring. 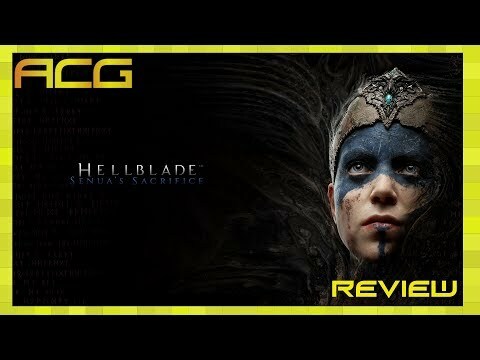 If you aren’t looking for an action packed game and instead looking for something a little more heady, Hellblade just might be the game for you. Even the slower sections of this game are mesmerizing and darkly beautiful. Unique and really powerful experience about mental illness, but combat mechanics and puzzles are its weak spots. Hellbalde : Senua's Sacrifice is a Hel of a game. A gorgeous, scary, crazy, oppressive and unique experience with a great setting and story, different and loveable heroin and some interesting gameplay mechanics. Maybe the best surprise of summer 2017. Hellblade doesn’t have huge flaws, but it fails to excel in too many areas to be an essential purchase. I’d still highly recommend Hellblade for the simple fact that it made me think and feel things that no other game has. There are plenty of games out there with more scintillating combat or intellectually taxing puzzles, but not many that can put you in the head of a Pict warrior suffering from psychosis. That alone makes it worth a purchase. Hellblade: Senua's Sacrifice was just a few short steps from a masterpiece. Poorly constructed puzzles and a number of frustratingly pointless illusion mechanics seriously hinder the experience at times, but a disturbingly brilliant narrative and plot make for a truly worthwhile experience. Even now, hours after putting down the pad, the game has invoked a deep discussion between the voices in my own head – and that's no small feat. One of Hellblade: Senua’s Sacrifice strong points lie in the games ability to entertain and immerse you in the experience, and on that point alone it is worth the price of entry. The game is definitely not going to appeal to all tastes, and nor does it try to. But if you are willing and open to new experiences and gameplay mechanics, then you will be rewarded with a thoroughly entertaining and somewhat disturbing video game. And one of the best new franchises of 2017. Hellblade lacks substance but with a starting price of 29,99€ you can live with some dull gameplay elements. Ninja Theory really made a bold move with the game that has paid off. If you expect a well thought out gameplay of a Triple A Hack and Slay game you should give it a pass. Anyone else will get a breathtaking story that tackles a difficult topic with an amazing atmosphere and a great protagonist. I know Hellblade won't be the catalyst to us understanding mental illness overnight, but, again, it needs to be stressed that Ninja Theory took a bold risk here and their art is going to change perceptions somewhere down the line. It's a game where the difficulty of its subject matter trumps its combat, which is unfortunate. How a group of twenty people can make one of the most affecting games of the year, when teams of hundreds routinely fail to do so, is beyond me. Hellblade: Senua's Sacrifice might not deliver when it comes to hack-and-slash combat, but its world, characters, and approach to storytelling help it to redefine what we might come to expect from AA games moving forward. Hellblade: Senua's Sacrifice is a very bold game that manages to talk about mental issues in a truly emotional way, using the gameplay dynamics of an action adventure. It's an authentic manifesto of how videogames can deal with serious matters in a way that fits perfectly the medium. And if you'll decide to go along with Senua in her descent to darkness, you'll probably remember her for the rest of your life. Hellblade: Senua's Sacrifice demostrates that videogames can be the perfect medium to tell a story about complex themes. The depiction of a disease like psychosis is believable and deep. The story works out very well, but the puzzles and the combat system are the game elements that push back the the overall quality of this very interesting project. 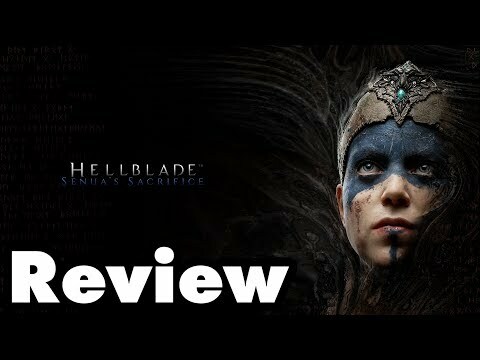 Offering exactly the same contents of the PS4 version, Hellblade Senua's Sacrifice on Xbox comes as a no brainer for the ones who love narrative and mature themes in a videogame, but may not be so palatable for the ones who primarily ask interactivity to a game. As part of their “independent AAA game proposition”, Ninja Theory delivers a visually impressive game with a short but interesting story that touches on a delicate subject and couples it with some interesting mechanics that nevertheless don't fully condense properly together. In short, we can say that we are in front of a title that presents an interesting story and theme, surrounded by a truly remarkable technical section, but which makes a small gameplay slide. Just as we could expect the fights are pretty straightforward and we have no progression of the main character (which is a little bit of a real deal, knowing what kind of title we had in front) but what most left us are puzzles. These make up the great totality of gameplay and often become monotonous and boring, as if they were just put there for broth. However, a title to be recommended for lovers of Norse stories and "mind games". Hellblade: Senua's Sacrifice evokes the strongest feelings of empathy thanks to a great production, deep character development, animation work, special effects and unique sound. Unfortunately, boring tasks with runes and too simple fights in limited arenas with waves of enemies are not the best elements for an original and emotionally strong project. I hope that with good sales on PSN and Steam big publishers gonna work with Ninja Theory again and studio will release a game of DmC level or something even more great. While in strict gameplay terms this lacks depth, and although it feels as if it tries to bite off more than it can chew on the storytelling side of things, Hellblade: Senua's Sacrifice turns out to be an epic journey through madness and Norse myth, and one that's worth a play-through or two despite its problems - as long as you aren't here for something more action-packed. Still, I must recommend this game, as what it does is very important. To take something like psychosis and give it not only a voice, but a clear picture is not an easy task, yet Ninja Theory has succeeded. Hellblade: Senua's Sacrifice's story of mental illness is unlike anything we've experienced before. For all the warranted concern of AAA developers veering too far from gameplay into pure cinematic awe, there's no denying Ninja Theory's narrative depiction of mental health is an infectious one — the type of narrative that has been long overdue in this industry. As an interactive story, Hellblade: Senua's Sacrifice is in a class of its own. The performance capture truly adds a special touch to the already intense cutscenes, the audio department is stunning and visually it's kind of a treat: too bad that the gameplay elements in Hellblade: Senua's Sacrifice are just so shallow, bland and uninteresting, dragging down an otherwise deeply fascinating project. I finished Hellblade: Senua Sacrifice with the biggest smile on my face, as the story and world engrossed me with vivid imagery for years to come. Understanding Senua's mental state, was great. I want more of the creepy storyline and that is a win in my book. It feels like a game handcrafted with care, as each sound and motion captured element propels the story forward. There is something bewitching in how the immediacy of video games can lead to places other mediums cannot. Promising and frustrating in equal measure, Hellblade: Senua's Sacrifice ultimately disappoints with rote puzzling, unexciting combat, and storytelling that fails to connect emotionally with its audience. In the end, Hellblade is a game that wants to have its cake and eat but forgets that it’s a game first and foremost. At times I found myself extremely bored with the repetitive nature of the game’s design. Open or vaguely circular arenas always painfully signposted another combat section and the visual puzzles, no matter how interesting at first, felt overplayed. Despite the lack of cohesion between these elements, Hellblade: Senua’s Sacrifice is a grand achievement. The game development community will surely look to the performance of the game’s sales to decide whether the shorter, lower-budget Triple A game is a viable proposition. However, the game’s quality provides a solid case for Ninja Theory’s experiment being a success.